Suzanne Long’s dream is to own a folding bike. 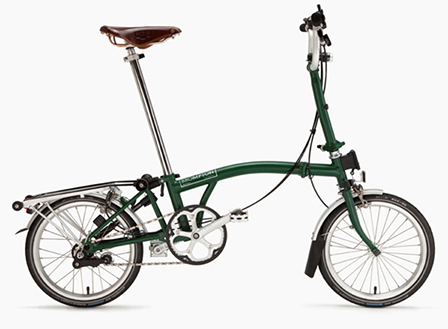 This Toronto-based web consultant waxes poetic over the colourful but pricey Brompton Bike that she would use as a primary mode of transportation in the city. Since she lives in mid-town in Forest Hill Village but often has to go downtown, she imagines riding the bike down the hill to meet with clients and then folding the bike and taking public transit up the hill to get back home. 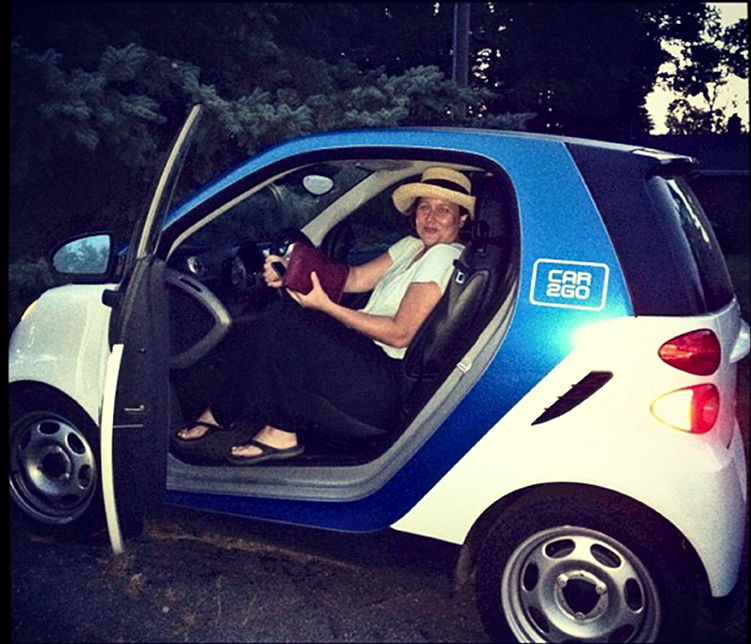 Until that day arrives, Suzanne is among the increasing number of Torontonians who are eschewing car ownership in favou r of public transit, car2go, cycling, car sharing and walking. She says, “I did the math and after owning a car for about seven years, I decided to get rid of it. Parking was getting complicated and expensive and even though my 10-year old Toyota was paid off and well maintained, it was costing me about $6,000 a year to keep on the road when I added it all up. I thought I could do something much more interesting with that money.” She also noticed that AutoShare and Zipcar had expanded to locations near the subway station closest to her and that the TTC launched an open data release enabling local transit apps. An enthusiastic techie, Suzanne loves the flexibility of car sharing services and uses any and all apps that make getting around the city easier. She loves the phone apps that allow her to plan her subway ride and the ones that give her travel options based on time and cost, like RideScout. She’s also discovered that the two-way, time-based transfer on the St. Clair West 512 streetcar line will give her two hours to do her errands and return home for the price of one fare. The transfer and the completion of the streetcar upgrades coincided with her using a data-enabled smartphone. Ever in search of a good deal and convenience, she would also buy rolls of tokens at the pharmacy (Rexall in particular) using a debit or credit card, which you could not do at the TTC. She still finds the MetroPass too expensive, especially when she combines her travels with other options. Occasionally, she borrows a friend’s car to get to her very early morning master swimming workouts and in return runs errands for her busy friend. Although not having a car saves Suzanne money, she insists that she would not buy another car, even if she had much more disposable income. She says that the ways to get around the city are becoming so varied and efficient and the traffic so bad that car ownership is really not desirable. She has lots of opinions about making the city easier to navigate and less car-centric, including making parking more expensive; improving the commuter services into the city; and giving monetary incentives (discounts, tax breaks) to people who use alternative transportation. This article is part of our issue OUTPOSTS: Ventures Beyond the Box.